France's Defence Forces participated in the Estonian Defence Forces (EDF) annual Spring Storm exercise on May 22, 2017 near the city of Tapa, eastern Estonia. Some 9,000 military personnel of the EDF as well as allied forces participated in the exercise. The enhanced Forward Presence battlegroup in Estonia will welcome its third French rotating contribution during 2019. The French army will redeploy its “SGTIA”1 of 300 troops, two Leclerc main battle tanks and 13 armoured infantry combat vehicles. A series of such SGTIA detachments, codenamed “Lynx”, have been deployed in Estonia since 2017 as part of the British-led battlegroup and in 2018 in Lithuania under German leadership. Although it is not a framework nation, the French commitment to the region is persistent and deployments remain robust. Their operational deployment configuration shows that the French forces do not consider their mandate an exercise but, rather, a deterrent engagement. The Baltic terrain turned into a learning environment for the French forces. They had become imperfectly prepared for the central European landscape, due to years of engagement in arid African theatres. This is symptomatic of a substantial rebalancing of priorities for the defence of Europe. France is reminding us all that it is one of the most reactive and deployable allies in NATO. The French contribution to the eFP battlegroups should not only be understood as fulfilling NATO commitments; it is also a bargaining tool for furthering the long-standing French objective of strategic autonomy. The French rationale is, however, misunderstood, raising numerous concerns. The Lynx detachments are consistent with a growing body of strategic anticipation in defence circles. The French Chief of Defence Staff, General François Lecointre, made a series of such observations in a recently published “strategic vision”. Conflicts in the next decade will be, if not triggered by, at least fuelled by state and non-state power dynamics. General Lecointre pointed to a growing tendency of “transgression” in all fields of conflict—this is the French understanding of grey-zone conflicts: plausibly or implausibly deniable coercive strategies. Appearing before a French parliamentary committee in July 2018, General Lecointre complained that assessments of threats and risks at the European level remained disunited, even contradictory; countries in Eastern Europe were overly focused on Russia as an existential threat, while countries in the south were being blinded by problems around migration fluxes. This observation of a lack of strategic unity or even of a contradiction in strategic visions is one which—to French minds—feeds a need for strategic autonomy, or European strategic autonomy. Those three words can have a scary association for many allies, especially in the Baltic region. Strategic autonomy is routinely misunderstood as a drive for independence from the US in terms of the collective defence of Europe, or at least as a movement that might accelerate a US drift away from European security issues. Arguably, the French locus of strategic autonomy is ambiguous; a return to the doctrinal roots of the concept is thus useful to define what it truly covers. Strategic autonomy appeared in French doctrinal writing in 1994, with the first post-Cold War defence white paper. Strategic autonomy meant a combination of nuclear deterrence and conventional intervention capabilities. In other words, the term designated the interplay between the ultimate national security guarantee and deployable, capable and sustainable armed forces. The initial difficulty about the concept lay in the sheer cost of maintaining both arms of such a posture. This is why the essence of the strategic autonomy that Paris now advocates to its European allies focuses on the second pillar: it means the ability to act alone if need be—swift decision-making, reliable and independent intelligence, theatre entry capabilities—but most importantly the ability not to remain alone. The gist of strategic autonomy is that it is ultimately the capacity to federate partners into a coalition. It is not at its core a drive away from the US—French cooperation with the US is especially close—but as a coalition-building, bargaining process. Strategic autonomy as an objective has nothing to do with absolute free rein, but instead means the capacity to coalesce. In this sense, president Macron’s European Intervention Initiative (EII) represents the continuity of French military diplomacy towards its European allies.2 The EII is the armed forces’ contribution to a greater goal of fostering a common strategic culture, doctrine and funding at a core European level to enhance swift deployment in potential crisis scenarios. The methodology of the EII is to gather partners for joint planning for intervention scenarios, so that the process of forming coalitions of the willing should a crisis arise would be facilitated by staff-to-staff contacts and existing blueprints. The reason behind this is that risks are so diverse, ambiguous and simultaneous that European countries no longer have the luxury of selecting situations in which to intervene. France’s eFP contributions are thus a step towards the concerns of its eastern allies in order to signal that European security is indivisible—societies being interconnected; threats to one not without repercussions for the whole. France recognises the challenges facing Europe from the east, but at the same time it encourages the easternmost members of the Alliance to take a bigger stake in the management of international security. Although it is not meant as a drive away from the US militarily, France’s repeated calls for European defence through strategic autonomy also need to be put into a larger context of transatlantic uncertainty. The Minister of the Armed Forces, Florence Parly, has clearly stated that building a greater degree of European strategy autonomy should become a matter of urgency, especially in light of contradictory declarations about US intentions in Europe. 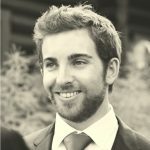 This does not mean that France wants to substitute a strategically autonomous Europe for a US committed to the collective defence of Europe, but simply underlines that American interests do not necessarily coincide with European ones when it comes to tackling peripheral—although very destabilising—crises. The French Chief of Defence Staff made clear in a recent interview that the EII is not aimed at making European allies support France in the Sahel region. The objective and utility of the initiative is instead to foster within the next decade a strategic community that would resemble that of the anglophone “Five Eyes” intelligence alliance. Those are not only elements of a communication pitch for advocating deeper integration within the EII. This ambition is also reflected in the Military Programme Law 2019–2025. The explicit objective of the reorientation of military programming is to put particular emphasis on the strategic functions of “anticipation” and “prevention”3 through developing capabilities that are more likely to entice European partners to come together in coalitions: strategic and military intelligence, cyber capabilities, navy carrier strike group, command and control, I3D coordination and SEAD4 capacities, and missile and aerial defence. 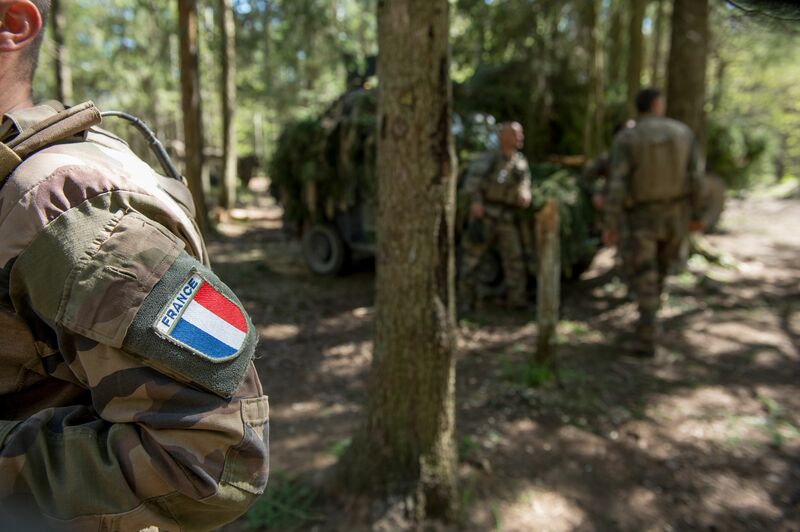 The forthcoming Lynx deployment to Estonia, the European Intervention Initiative and the new capacity-building engagements taken through the military programming law send a number of signals to France’s European allies. The main difficulty for the French is to “sell” the argument for a greater degree of strategic autonomy to countries for which those two words are synonymous with American abandonment. French military diplomacy is being given the challenge of articulating in a way that shows the greater benefit of and coherence for the symbolic idea of European strategic autonomy. 1 Sous-Groupement Tactique Interarmes, roughly translated as Interbranch Tactical Sub-Element. The French doctrine designates an SGTIA to be able to perform combined arms effects for the realization of a given tactical objective. 2 At the time of writing, nine countries have signed the letter of intent creating the EII: Belgium, Denmark, Estonia, Finland, France, Germany, the Netherlands, Portugal, Spain and the United Kingdom. 3 The five strategic functions of the French armed forces as defined since 2008: knowledge and anticipation; prevention; deterrence; protection; intervention. 4 Suppression of Enemy Air Defenses.